Home Patient Testimonials Smile Portfolio Roger H.
A natural full mouth rejuvenation! 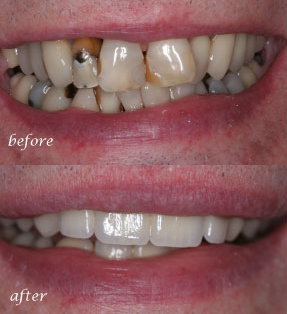 Roger H. from Pittsford, NY wanted to have a more natural looking smile and was tired of seeing the gold showing on the crowns of his front teeth. 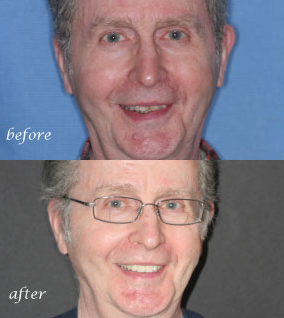 After a full mouth rejuvenation, he feels comfortable smiling all the time.